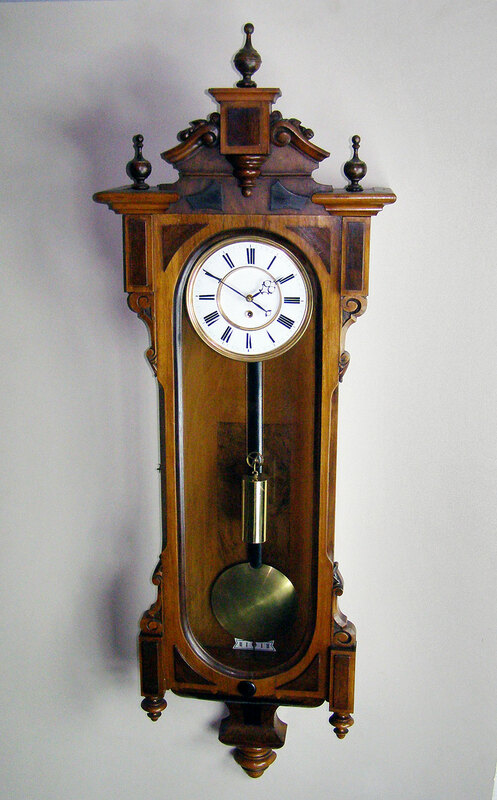 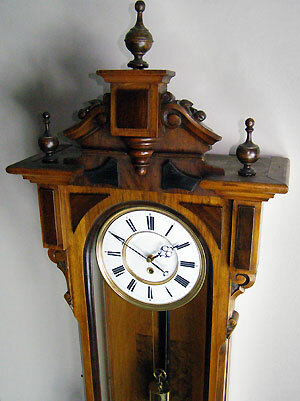 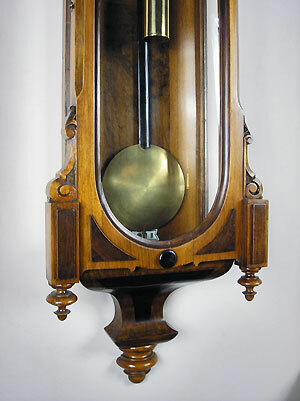 This is a single weight walnut Vienna regulator from Austria. 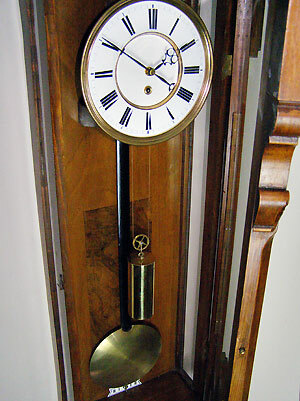 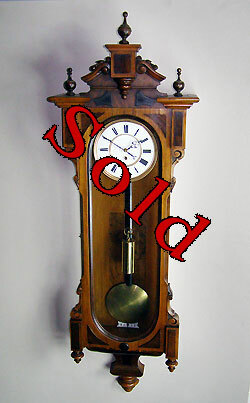 The clock has a two-piece enamel dial and finely pierced hands. 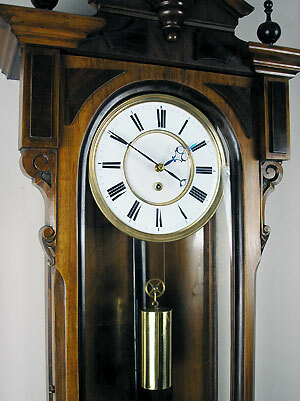 This is an eight-day timepiece with dead-beat escapement and maintaining power.